Pema Kathang (Tib. པདྨ་བཀའ་ཐང་, Wyl. 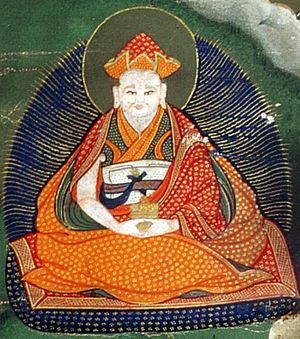 pad+ma bka' thang), the Chronicle of Padma — a biography of Guru Rinpoche, also known as the Sheldrakma (shel brag ma), revealed by Orgyen Lingpa from the Crystal Cave (Wyl. shel brag). It has 108 chapters. Dan Martin, Tibetan Histories: A Bibliography of Tibetan-Language Historical Works (London: Serindia, 1997), page 56. This page was last edited on 2 January 2018, at 04:29.